Just over a year ago, Brisbane, Australia experienced its worst flooding since 1974, resulting in billions of dollars in damage. Immediately after the event the focus of attention turned to the management of the Wivenhoe Dam, which was built after the 1974 floods to prevent a repeat. 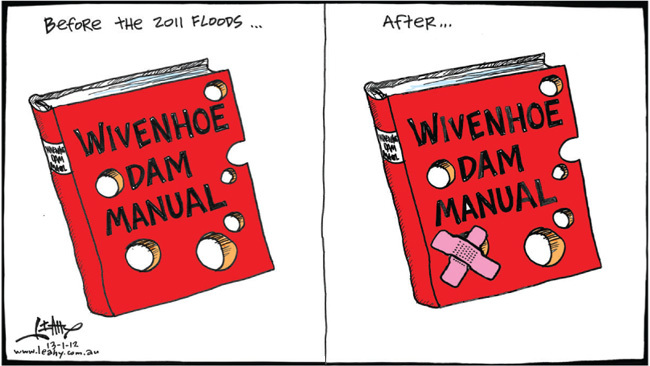 On Monday and Tuesday The Australian newspaper alleged engineers operating the Wivenhoe Dam used the wrong water-release strategy, breaching its operation manual, in the lead-up to the January 2011 Brisbane flood. It reported SEQWater engineers, who operate the dam, failed to move to a higher water release strategy early enough, contributing to the Brisbane and Ipswich floods. The paper used emails between SEQWater and the WaterGrid to back up their claims. It went on to accuse the commission of overlooking the documents and accepting at face value evidence from engineers who said the manual had been followed correctly. The commission was in possession of the emails but did not make them publicly available. The release of the information contained in the emails has prompted a re-opening of the Floods Commission inquiry and a delay in the Queensland state election. 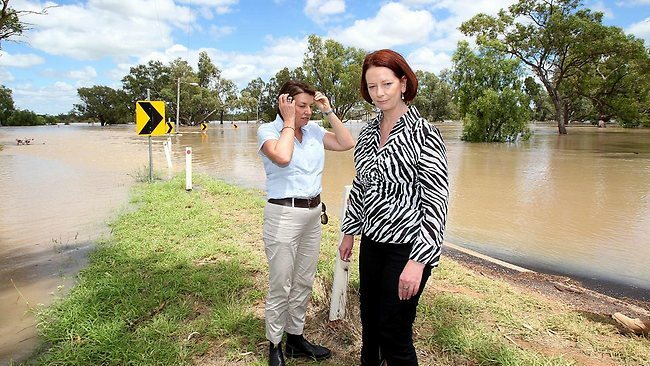 Anna Bligh, the Premier of Queensland (pictured at the top of this post with Prime Minister Julia Gillard), is facing an electoral defeat based on polling, prompting calls that the election is being delayed for politically strategic reasons. On 13th January 2011 major flooding occurred throughout most of the Brisbane River catchment, most severely in Toowoomba and the Lockyer Creek catchment (where 23 people drowned), the Bremer River catchment and in Brisbane, the state capital of Queensland. Some 56,200 claims have been received by insurers with payouts totalling $2.55 billion. This paper backgrounds weather and climatic factors implicated in the flooding and the historical flood experience of Brisbane. We examine the time history of water releases from the Wivenhoe dam, which have been accused of aggravating damage downstream. The dam was built in response to even worse flooding in 1974 and now serves as Brisbane’s main water supply. In our analysis, the dam operators made sub-optimal decisions by neglecting forecasts of further rainfall and assuming a ‘no rainfall’ scenario. Questions have also been raised about the availability of insurance cover for riverine flood, and the Queensland government’s decision not to insure its infrastructure. These and other questions have led to Federal and State government inquiries. We argue that insurance is a form of risk transfer for the residual risk following risk management efforts and cannot in itself be a solution for poor land-use planning. With this in mind, we discuss the need for risk-related insurance premiums to encourage flood risk mitigating behaviours by all actors, and for transparency in the availability of flood maps. 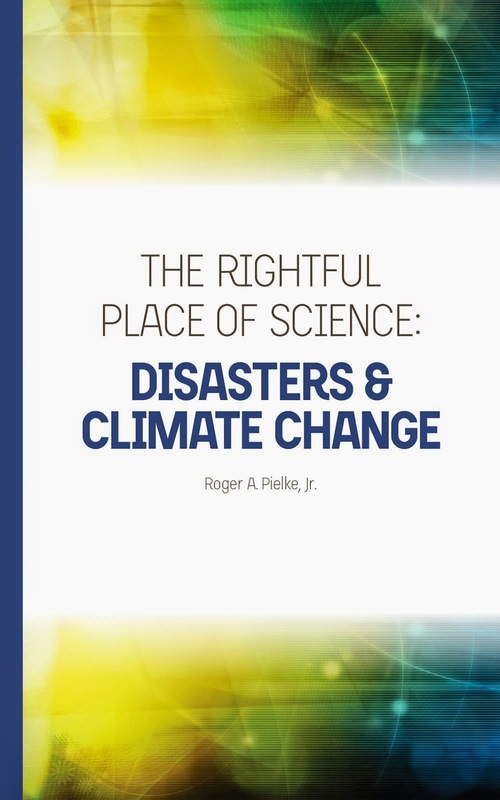 Examples of good flood risk management to arise from this flood are described. Based on the new reporting from The Australian on the possible errors in flood management and the comprehensive analysis in van den Honert and McAneney (2011), it is clear that bad decision making played a major role in the disaster. The bad decisions were the result of mismanagement, a deeply flawed management architecture, or what seems to be increasingly likely -- both.